American Airlines said: "At this time American Airlines is unable to confirm whether or not the image referred to was taken by a member of flight crew but will investigate the situation internally to determine if any of the airline's strict policies were not correctly applied. "American Airlines’ primary concern is for the safety and comfort of its passengers and crews and consequently passengers are advised to book two seats if they are concerned that they will require them. 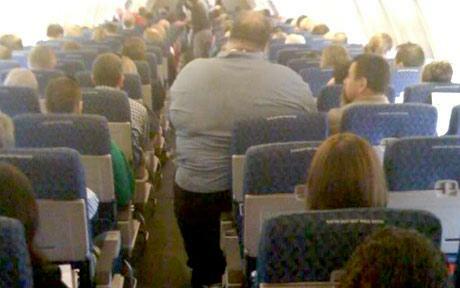 If a flight is not full, however, passengers' needs would be accommodated without charge wherever possible."